Hi guys! I´m with a casual Autumn outfit, wearing some checked trousers, which are everywhere this season, and these cut out boots. As it wasn´t a cold and raining day I used them with a t-shirt and waistcoat, and also a bag and some bracelets studded. Olá a todos! Estou a usar um outfit de Outono casual, com umas calças ao xadrez, que preenchem as lojas todas esta estação, e estas “cut out boots”. Como não estava um dia frio ou com chuva eu conjuguei-os com uma t-shirt e um colete, e ainda com uma carteira e pulseiras com tachas. I love those booties! And you look super cute, as per usual :)! Gostei do look, amei as botas. We love bright detail on t-shirt! Nice combination of different styles! Obsessed with that bag! Wish it wasn't an old collection from Zara! 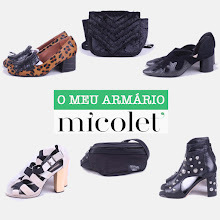 Gostei do look, especialmente dos detalhes da tee! I love the outfit! The bag and the pants are fantastic!